A well designed landscape can be a great place to enjoy time with your family, add value to your property, and even attract more customers to your business. While there are many benefits there can be a lot of work involved. Hofmann Landscaping and Lawn Care has the experience you need when you want to give your outdoor area a complete overhaul. You can design the yard you envision with the help of our friendly professional team. We will start at the design phase and won’t quit until your vision comes to life. Once the plan is set we get to work removing anything that won’t isn’t in the design like shrubs, old flower bed material (mulch and rock), and even paved walkways that need to be removed. This is the “tear out” phase and will leave us with a clean slate to work with. Then we move to the “install” phase where we bring in all the materials and plant life from the design and put it where it needs to go. This includes things that other landscapers may not do like paving new walkways or even installing a new flagstone patio. Tear Outs This is the process of removing any unwanted elements of your property from shrubs, old stonework, or even trees and grass. Pruning Trees can sometimes develop dead branches which can become unsightly and dangerous and should be removed. There are also decorative bushes and shrubs that can be regularly pruned to look their best. 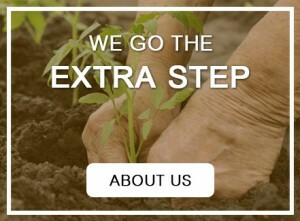 Weeding We can help you have a great looking lawn without all the weeds. We can even help remove them from your driveway and other paved areas. Mulching or Decorative Rock Every once in a while your flower beds may need an update. We can add mulch or decorative rock to help your beds look great. Retaining Walls Rain is natural, but can sometimes cause unwanted flooding or other damage to your property. A well placed barrier can change the flow of water and prevent any unwanted side effects. Storm/Emergency Cleanups After a storm you can be left with a lot of limbs and other unwanted materials. If this or any other emergency has happened and you need help cleaning up Hofmann can help. Haul Offs It doesn’t have to be an emergency to have things pile up outside. We can take away almost any yard waste or materials. Walkway Paving A walkway can make an eye appealing addition to any property. We can install stone or brick walkways to sheds, garages, or anywhere else you need to get to in your yard. Flagstone Patio Installation This is a popular look that can add style and comfort to any outdoor gathering area. Different types of natural looking stone can be put together to make a great area to host guests or clients. Contact our friendly staff to talk about how you want your outdoor space to look and don’t forget to ask about our free estimates for any of your outdoor needs.